Many couples are uncomfortable discussing their financial position prior to getting married. However, a Missouri family law attorney can assist those who want to plan for their financial future when considering marriage. Those that do have the conversation can be sidetracked with discomfort and hurt feelings when contemplating the financial realities that may occur if the marriage you are planning should end unexpectedly. While the tendency may be to allow emotions to dictate financial planning discussions and goals in these circumstances when planning a marriage, a well-planned prenuptial agreement can save the parties the future cost of heavily litigated, unexpected end to a marriage. A prenuptial agreement is a contract between a couple regarding how they will end their marriage in the event it ends in separation, divorce, or even from the death of one of the spouses. The idea behind prenuptial agreements is to protect separate property, or property the spouses owned individually prior to getting married, what they may acquire from that same property after marriage and what is acquired generally after the marriage. With the assistance of a Missouri family law attorney, a well drafted prenuptial agreement will provide details for a financial separation of the parties’ marital property, or property acquired from the date of marriage to the date of divorce or death. Keep in mind, that under Missouri law, future child custody and child support cannot be determined in a prenuptial agreement. It can be part of a larger estate plan to assist in clarifying the rights of inheritance among blended families. To be enforceable in Missouri, a prenuptial agreement must be signed and in writing. Additionally, the prenuptial agreement must be conscionable and entered into “freely, fairly, willingly, understandingly, in good faith, and with full disclosure.” At the heart of any dissolution of a marriage proceeding is a requirement that the parties fully disclose all of their assets and liabilities as well as their separate property. If any of these factors are missing from the agreement or if it is oral, the prenuptial agreement will not be enforceable in Missouri courts. To ensure fairness and protection of the rights of the parties, each spouse should be given time to review the document from delivery of the agreement to execution of the agreement. Also, each person should be represented by Missouri family law attorney so that each person understands the prenuptial agreement and their rights and obligations under the agreement. 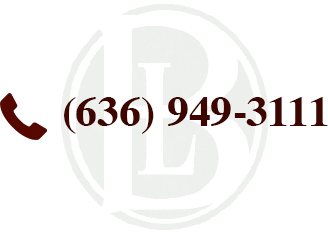 If you have questions about prenuptial agreements or are in need of legal representation to enforce a prenuptial agreement in Missouri, contact the Bellon Law Group today to schedule a comprehensive case review.